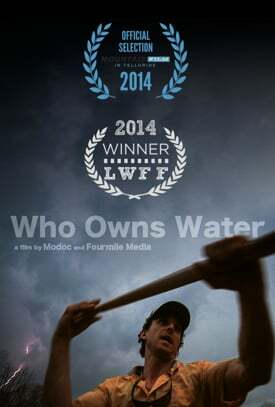 Who Owns Water (The Documentary Project) @whoownswater – Milieu de la Moda, Inc.
“WATER WARS. Let’s have a whiskey and I’ll tell you something different.” It’s a conflict once unthinkable in the deep green South. Three states are locked in battle over the diminishing fresh water that saw Atlanta go from a small town to the largest growing city in the US. Who’s in control? It depends on who you talk to. In this stunningly-shot, award-winning documentary film, brothers Michael and David Hanson return to the source of their childhood river and paddle it to the Gulf of Mexico to take you deep into the Water Wars. Everything comes down to one question.